Winter can be rough! You’re cooped up indoors, cold air chaps your skin, central heating dries you out… the list goes on. If you’re looking for a way get your winter skin ready for spring, look no farther than sweet almond oil. Using sweet almond oil for skin care is a natural way to show your skin some TLC because it’s super versatile. 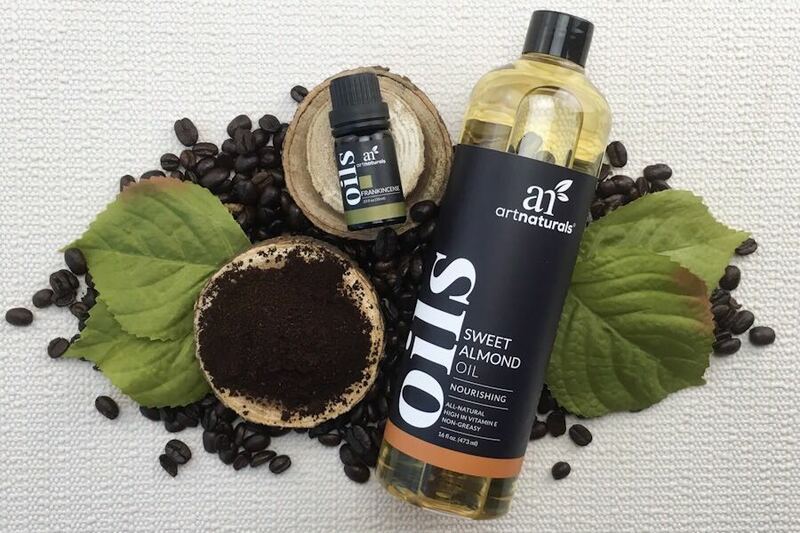 This marvelous natural oil can be used on your face, body, rough spots and even your hair… but today we’ll be sticking to just uses for skin care. One of our favorite ways to use sweet almond oil for skin care is making homemade all-natural scrubs that exfoliate and moisturize. Try one of these 3 DIY scrubs to get started on soft, smooth, glowing skin. We’re even throwing in a bonus recipe for the easiest lip scrub you’ve ever tried! Why Is Sweet Almond Oil Good for Your Skin? Sweet almond oil for skin care is wonderful because it moisturizes, protects, and nourishes. Everything you need to keep skin hydrated, smooth and supple. Emollient moisturizer. Sweet almond oil is an emollient moisturizer, meaning it adds to your skin’s natural barrier helping moisture stay in and irritants stay out. Rich in fatty acids. What gives sweet almond oil it’s emollient properties are fatty acids like oleic acid. These types of fatty acids are important for skin hydration without a heavy greasy feeling. Nourishing skin with fatty acids helps skin feel smoother and look younger. Vitamin E. Vitamin E is a fat-soluble antioxidant used in skin care to help protect skin from harmful things like sun damage and free radicals. Protecting skin helps prevent premature signs of aging like fine lines, wrinkles and age spots. Stretch mark care. Fans of sweet almond oil swear by it for helping minimize stretch marks (striae). For example, celebrities like, Gywneth Paltrow, suggest moisturizing with sweet almond oil during pregnancy to avoid stretch marks, but there’s not enough research to know for sure. There is some hope though! A 2017 study published in The Journal of Maternal-Fetal & Neonatal Medicine, found that creams with sweet almond oil have helped soothe itching striae and kept them from getting worse. The absolute first thing to know is that there are two types of almond oil, but only one is suitable to apply directly to skin. 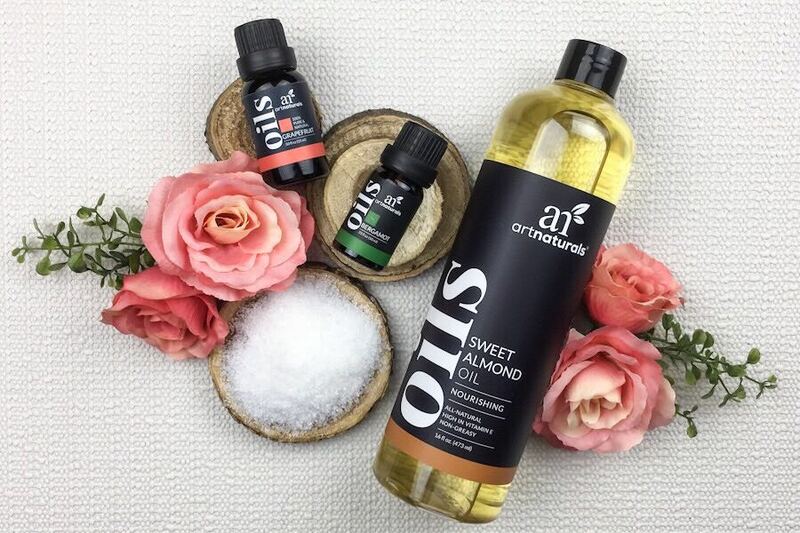 Sweet almond oil is cold pressed from the kernels of almonds from the sweet almond tree (prunus amygdalus dulcis)— the kind you toss in your bag for a snack. Bitter almond oil, sometimes just referred to as almond oil, is made from a completely different type of almond tree (Prunus amygdalus var. amara). It’s not safe for topical application and is actually poisonous if ingested. So remember to “keep it sweet” and only use sweet almond oil for skin care and beauty recipes. According to the American Academy of Allergy Asthma & Immunology (AAAAI), almond allergens can absolutely be present in sweet almond oil, and topical applications of tree nut oils can sensitize. The good news is there doesn’t seem to be any documented cases of anaphylaxis caused by topical use of sweet almond oil for skin care. However, the experts at AAAAI are pretty clear that people with nut allergies are better off avoiding sweet almond oil completely. Even if you don’t think you have a nut allergy, you should always do a skin patch test when using sweet almond oil for the first time. That’s just a great rule of thumb to follow for any new product you’re using for skin care. *It’s important to use a soap you know is okay for your skin so the test results aren’t skewed. 1. Choose a place to test the sweet almond oil. The inner elbow is the most practical choice since it’s sensitive, but also easy to rinse off quickly in case you do have a reaction. 2. Wash the area with soap and water, pat dry. 3. Use a cotton swab to dab a 1-2 drops of sweet almond oil on your test area, apply bandage. 4. Leave the area alone for 24 hours, unless you feel burning or itching. If you feel uncomfortable immediately wash the sweet almond oil off with soap and water. 5. After 24 hours with no reaction or discomfort you’re good to go on sweet almond oil beauty recipes. Time to Gather Your Supplies! Making your own all-natural exfoliating scrubs at home is incredibly easy and quick. So easy you’ll probably wonder why you ever put up with those nasty plastic microbeads in traditional products. Using organic sweet almond oil and just a couple of other natural ingredients, you can make your own vegan eco-friendly body scrubs for every occasion! You will also need a mixing bowl, a whisk and something to store your scrub in, like a mason jar. To make your scrub, simply mix your sweet almond oil with any other wet ingredients first, then add in your dry ingredients. Mix until combined, store in your mason jar. Seriously. That’s all there is to it. To use your sweet almond oil scrub wet your skin, massage a small scoop of scrub onto skin using circular motions. Let sit for about a minute to moisturize, rinse and you’re done. Best for: Under-eye puffiness, age-defying skin care routines, and coffee lovers. Best for: Post workout refresh, extra-rough spots like knees, elbows and heels. Best for: Face & body, brightening complexion, boosting your mood, before bed skin care routine. Ever try to apply lipstick or liner on rough dry lips? Yikes. Not to mention chapped lips range in discomfort from annoying, to irritating to even downright painful. This DIY sweet almond oil lip scrub takes under 2 minutes to make and is a total game changer when it comes to soft, smooth lips. Tell Us About Your Adventures with Sweet Almond Oil! Are you a sweet almond oil super fan, or new the natural oil game? Share your experiences with us in the comments below. 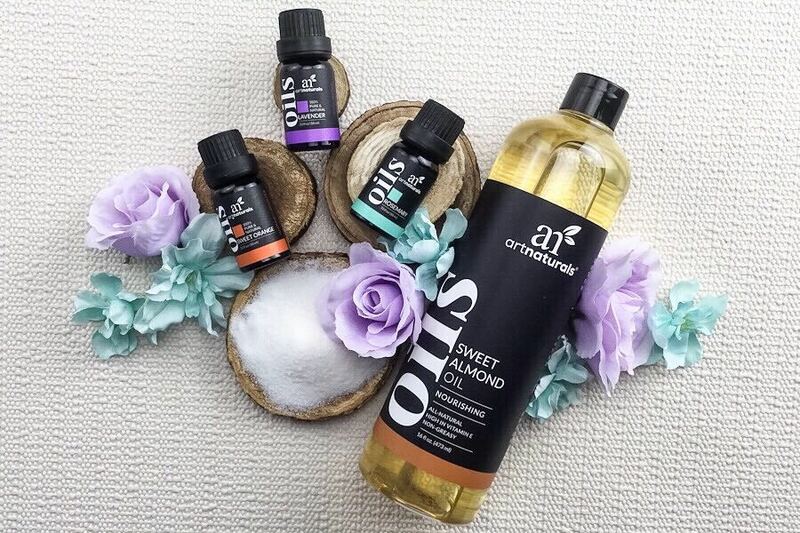 We can’t wait to see how you use organic sweet almond oil in your beauty routines.